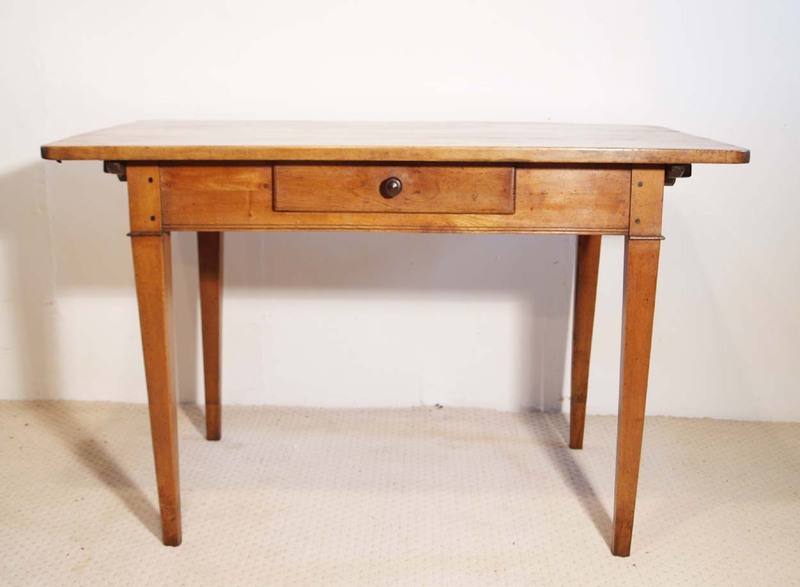 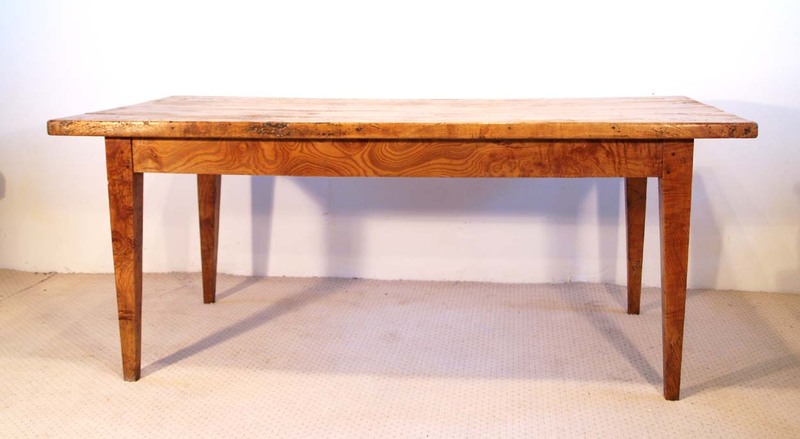 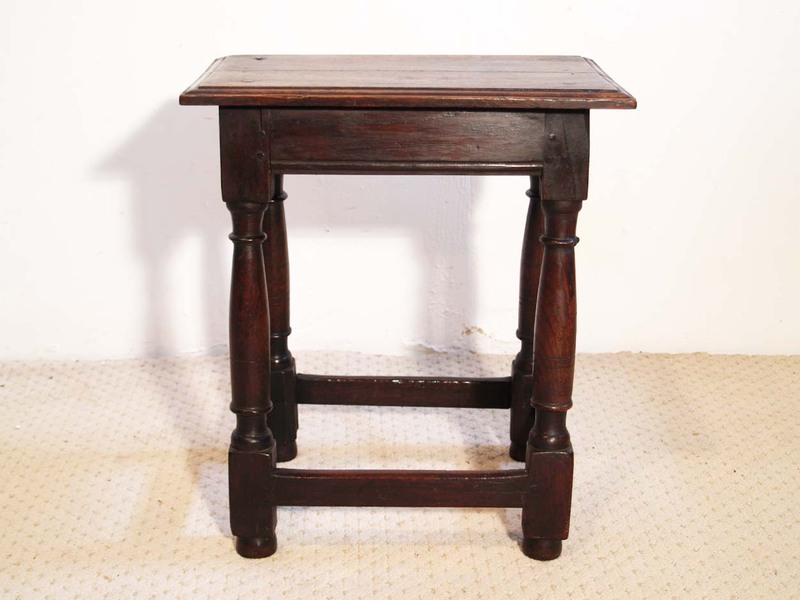 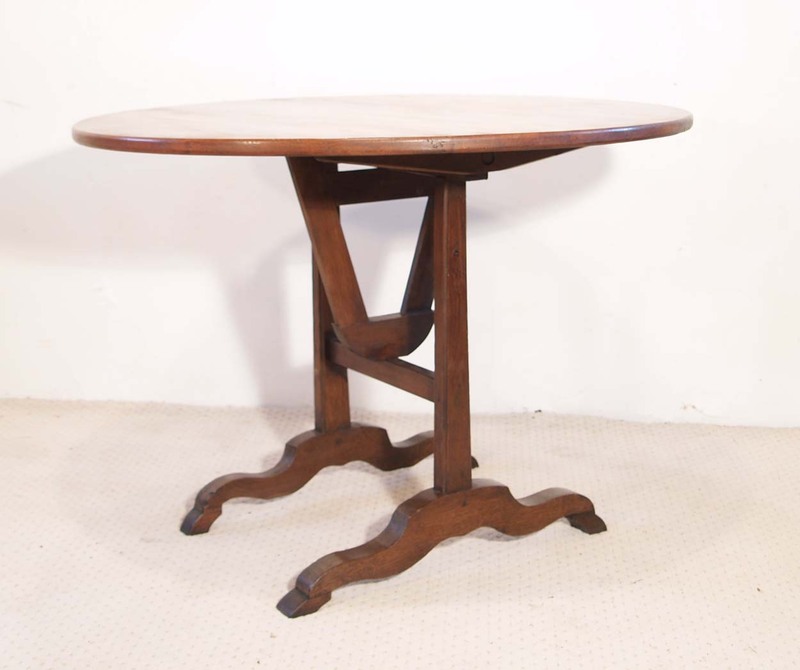 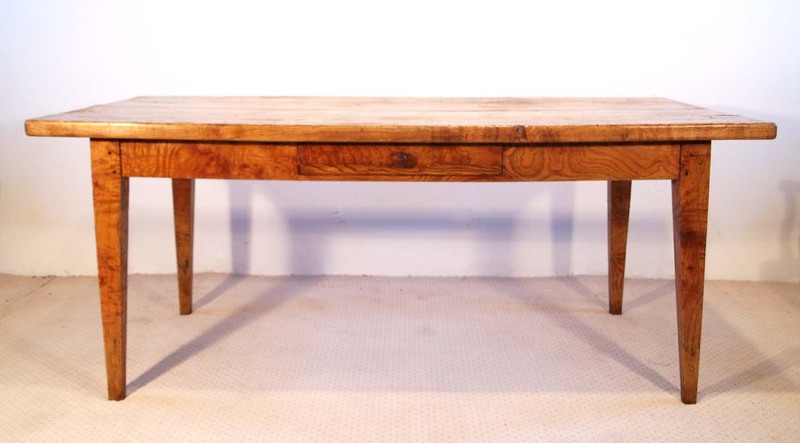 A stunning early French antique ash farmhouse table, with a centre drawer. 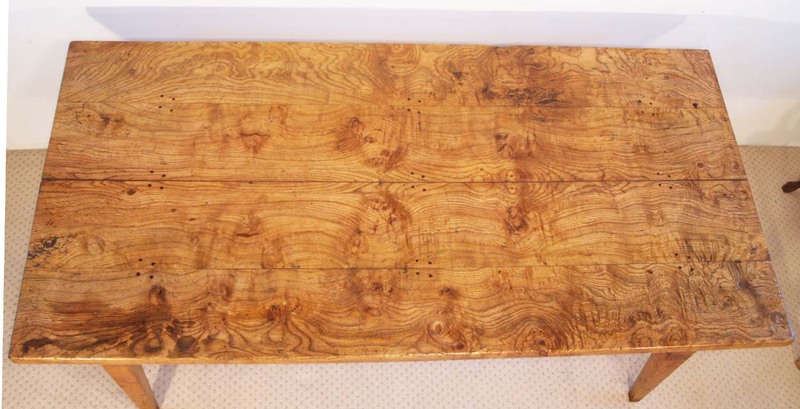 The top is 4.5 cm, 1.75” in thickness, with stunning grain and has been mortised, tenoned and pegged and has a good width . 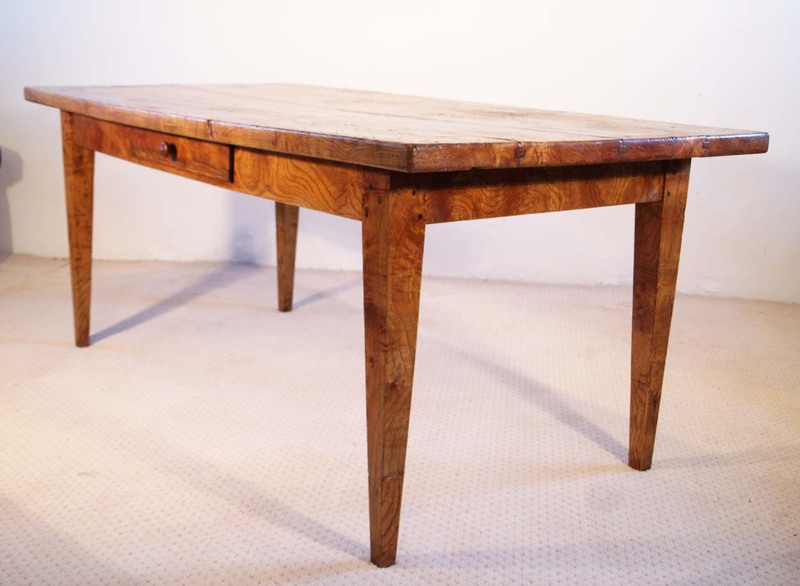 The grain has been symmetrically book matched across the top, to give a mirror image. 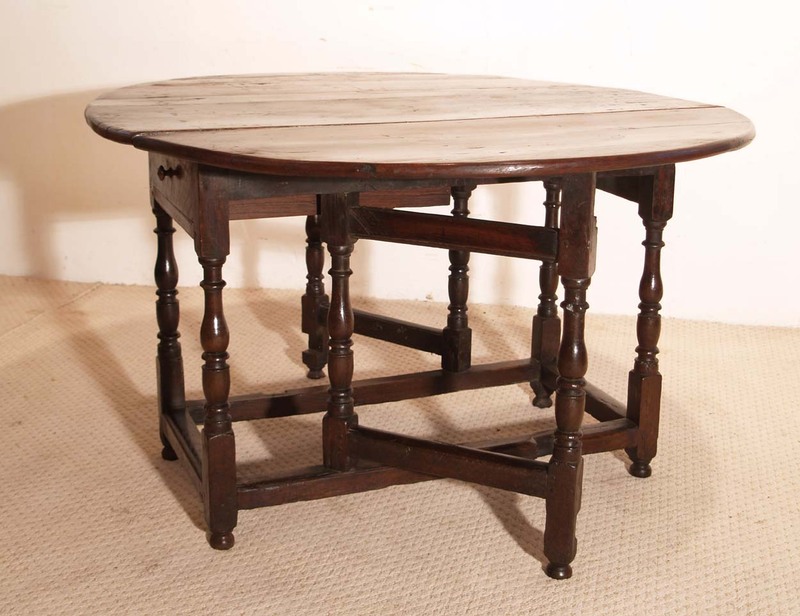 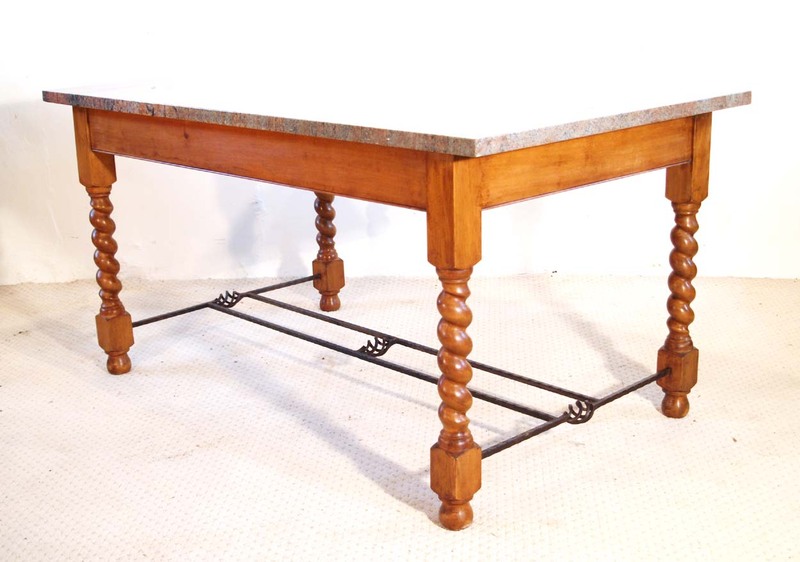 A wonderful table originating from the Normandy region of France C 1800.